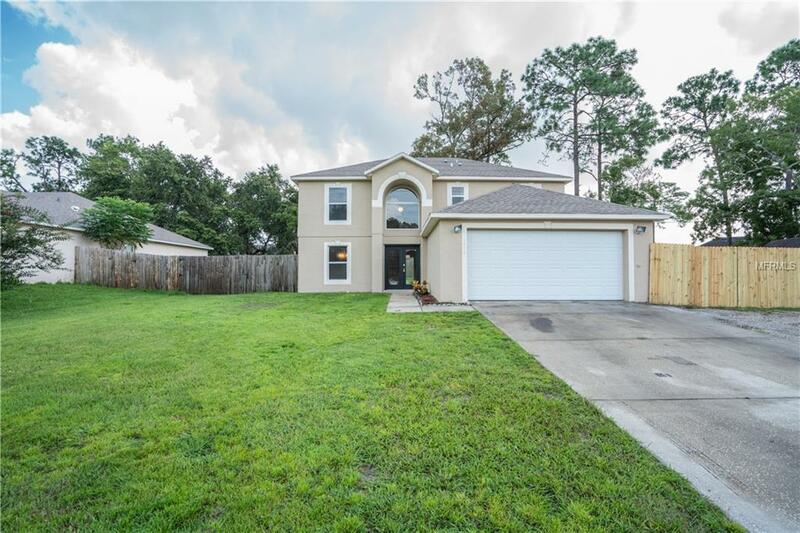 Beautiful 2 story 4 bedroom home plus den in Deltona close to local schools and conservation area. Foyer with soaring ceilings opens to newly carpeted living room and staircase. New flooring and neutral 2 tone paint throughout. Kitchen showcases matching appliances, prep island, dual pantry, and tons of counter space. Dining room off kitchen features wood look vinyl floors. Large newly carpeted family room. Upstairs master offers deep walk in closet, and en-suite bathroom. Rear sliding door opens to patio overlooking generous fenced backyard with mature trees tons of potential. Perfect spot to BBQ! A must see! !